Ainovo’s low-priced Novo 7, one of the first tablets to sport Ice Cream Sandwich, may finally be making its way to the United States. The slate was announced earlier this month for a release in China, at the time priced at an extremely reasonable $100. Throw on the $60 shipping fee that some sites were charging to import the tablet and the deal became a little less sweet. 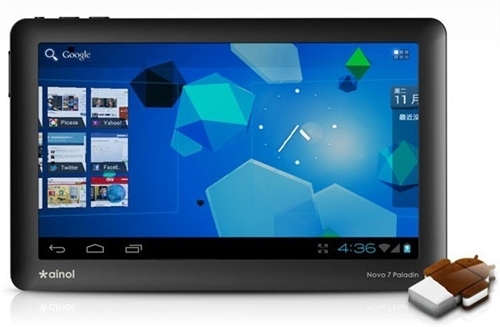 The 7-inch Novo 7 with 1GHz CPU has gone on pre-order through several US retailers at a slightly marked up priced of $120, a bit pricier but still better than having the device shipped in from China. Get it here or here.